Just like Samsung, Xiaomi is also working on its own version of a foldable smartphone. The phone is still in its early designs, but concept renders are out now. A video of the conceptual phone was also released where the company’s founder can be seen using the Xiaomi’s foldable phone. 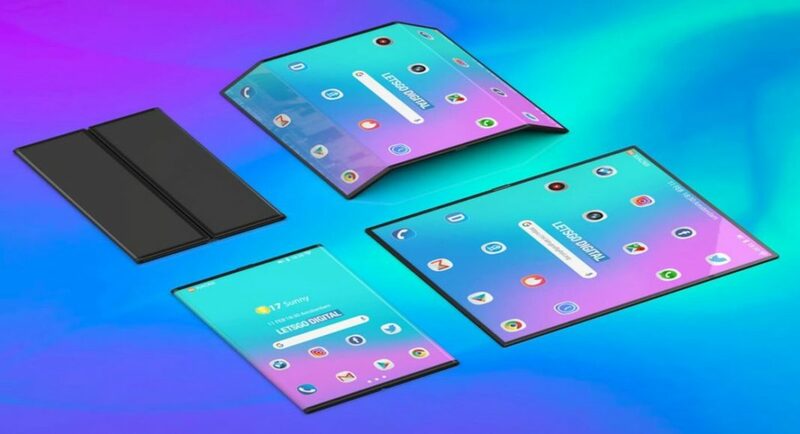 According to a report on LetsGoDigital, where the company issued official statement, the company described its upcoming foldable smartphone. They also gave information about the development and design of this device. Over that, Xiaomi has also stated what challenges they faced when they were working on the foldable phone and the flexible screen. The business also also spoke about the MIUI interface, which would be present on the foldable mobile. The interface is in development too and will be seen running on it at the time of launch. Glimpses of how MIUI would react to the phone and its screen were also showcased. According to the company officials, they are working with a supplier to develop the smartphone. The suppliers name has was not revealed. Unlike Samsung’s folding phone, which has only one folding screen, the Xiaomi’s foldable phone will have two foldable screens. These fold outwards unlike Samsung’s inward folding smartphone. Xiaomi’s dual folding screen will curve back to wrap the rear of the phone. Developing a UI for such a complex screen is tricky that’s why they have been working on an upgraded MIUI user interface, which can support the foldable design. The phone when folded would look like a regular phone, but when unfolded it would turn into a tablet with thin bezels. The apps and contents of the screen too would change according to the large screen size. Report of a camera on the smart is still unclear. Also, there was no sign of it in any of the leaked videos. There is a possibility that the back of the phone where the screen wraps might hold a camera. However, no official statement has come out from the company on it. The bottom of the phone has a USB Type-C charging port while the top has a button, which might be the power button . The ear piece is placed under it. If Xiaomi releases its foldable phone this year then it would compete directly with Samsung Galaxy F. No doubt, both the companies have their own ideas of what their foldable phones would look like and be able to do . Whatever the case might be, these new smartphones would be a fresh sight for sore eyes.